Cheer Momma up during the stressful times with this box full of laughs! 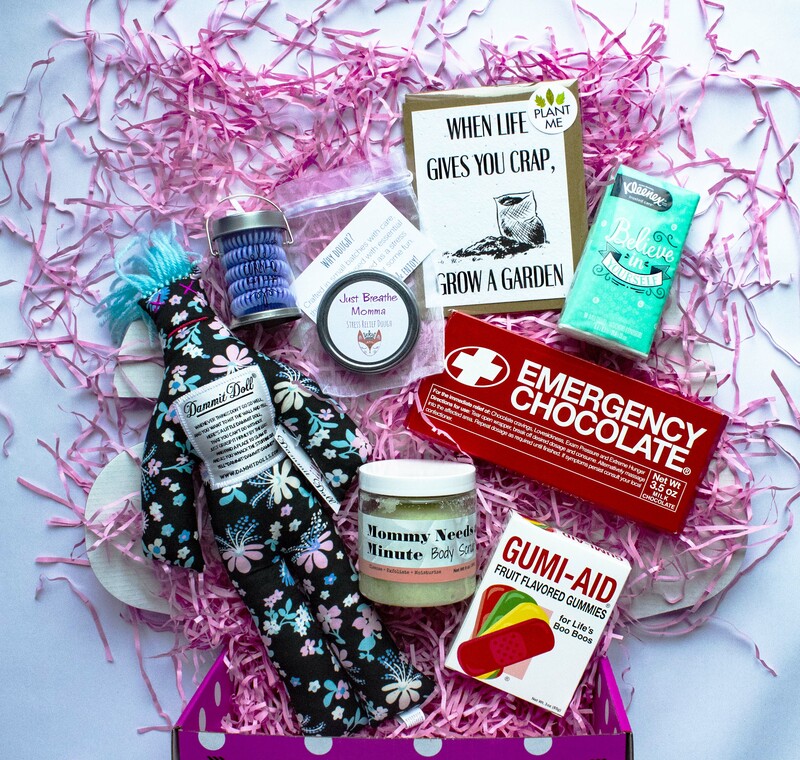 Box includes: Damm*t doll, stress dough, fun chewing gum, Kleenex tissue, sugar scrub, hair coils, plantable card, emergency chocolate bar, & gummy band aids! Box will ship within 3 business days.